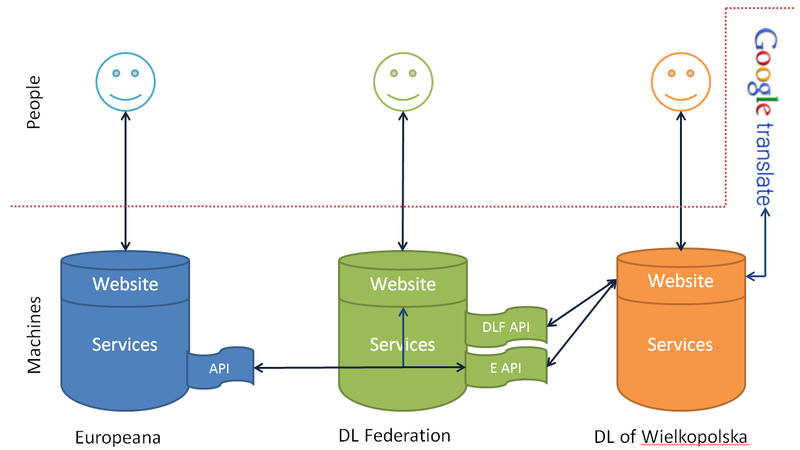 Earlier this week Europeana updated information about resources from digital libraries connected via the PIONIER DLF. We are happy to announce that the publications number has increased by more than 100 thousand since last update and it counts exactly 462 796 objects. 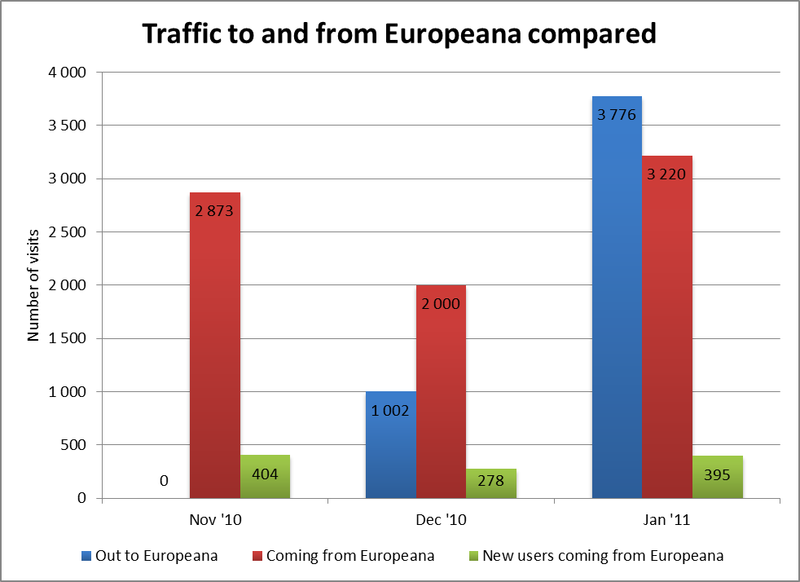 Therefore, we decided to refresh the statistics on our data in Europeana compared to other countries and metadata providers (as for 2 February, 2011). The PIONIER Network Digital Libraries Federation (Federacja Bibliotek Cyfrowych in Polish) is the twelfth largest data provider (from about 100 currently). 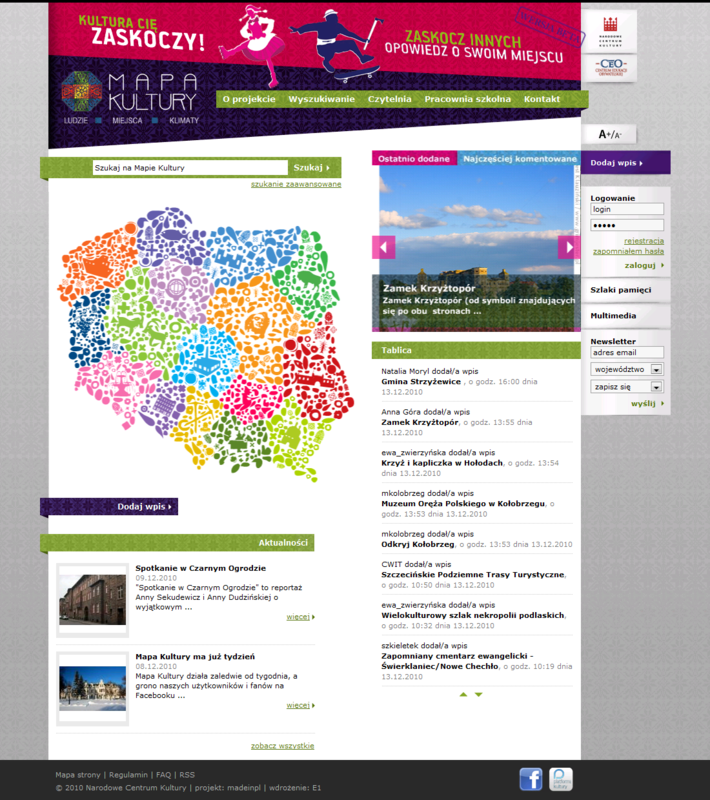 At present, PIONIER DLF provides data from 56 digital libraries, which have objects from hundreds of institutions of various types (libraries, archives, etc) across Poland. As the country, Poland is ranked 10th with its 485 390 digital objects. This number is greater than the number of objects from PIONIER DLF, because more than 20,000 publications comes from the Polish National Library via The European Library project. At the end it is worth to emphasize that it is hard to compare this type of statistics. 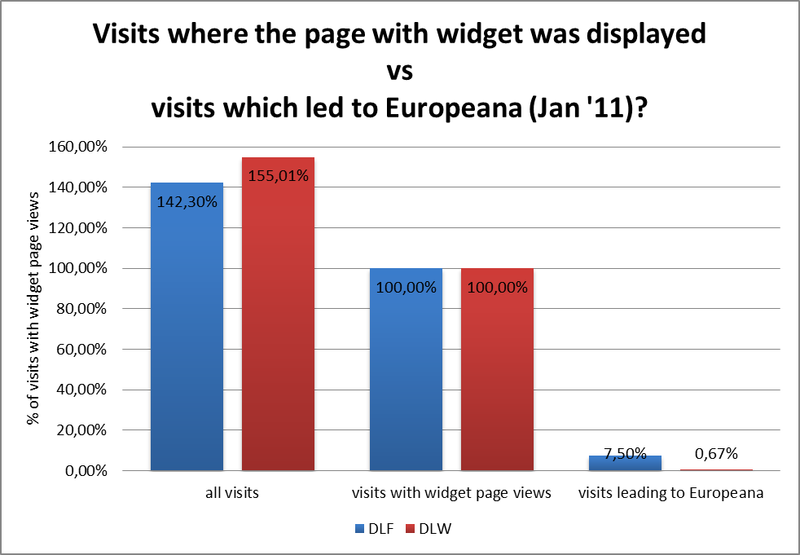 The numbers are very sensitive to the nature of a single unit of description in Europeana. For example, some resources are created from a single page of a manuscript, while others are created from the whole manuscript. As the latter is a standard in the Polish digital libraries, it seems that we can be glad with the current results. 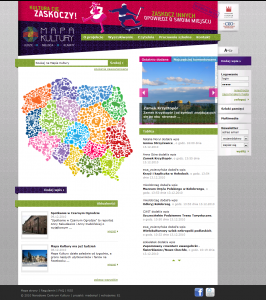 We have already published some statistics describing the visibility of Polish cultural heritage in Europeana. Today a European Commission press note was published, titled “Digital Agenda: Europeana gives online access to over 14 million examples of Europe’s cultural heritage”. This note informs that Europeana has crossed the number of 14 million of objects available on-line (today it is exactly 14 608 295 objects). Statistics included in this note show, that Polish participation in this number is on the level of 2.81% (411 088 objects). Unfortunately it is around 0.5% less, than in similar statistics published by us in July. In the next few weeks there is a planned update of information visible in Europeana, and provided by Polish Digital Libraries Federation. It should increase the number of objects coming from Poland by around 60 000. W połowie października w Hadze i Amsterdamie odbyła się konferencja Europeana Open Culture oraz powiązana z nią seria spotkań projektów współpracujących z Europeaną. Między innymi w 13 października w Hadze miało miejsce plenarne spotkanie funkcjonującej przy Europeanie Rady Dostawców Treści i Agregatorów (Council of Content Providers and Aggregators), której PCSS z racji zarządzania Federacją Bibliotek Cyfrowych jest członkiem. W ramach tego spotkania omówione zostały cele działania Rady, przedstawiono również kwestie współpracy z Europeaną z różnych punktów widzenia: dostawcy treści, agregatora i portalu krajowego. W czasie spotkania powstały też grupy robocze mające skupić się na pracach dotyczących wybranych obszarów kluczowych z punktu widzenia różnego rodzaju dostawców danych do Europeany. Główna część konferencji Europeana Open Culture odbyła się w Amsterdamie 14 i 15 października. Przedstawiono na niej obecny stan rozwoju Europeany oraz kluczowe kierunki jej rozwoju w najbliższej przyszłości. Poza dalszym gromadzeniem informacji o obiektach cyfrowych z europejskich instytucji kultury, działania Europeany mają skupić się na poszerzaniu możliwości dalszego wykorzystania tych informacji w edukacji i nauce, ze szczególnym naciskiem na automatyzację tego procesu (poprzez wykorzystanie interfejsu programistycznego Europeany oraz możliwości, jakie dają technologie semantyczne). Na zakończenie konferencji ogłoszono, iż Europeana będzie promowała wykorzystanie symbolu domeny publicznej zaproponowanego przez CreativeCommons do oznaczania cyfrowych reprezentacji dziedzictwa kulturowego (więcej informacji). On-line dostępne są już prezentacje z konferencji oraz krótki reportaż wideo. Zachęcamy do zapoznania się z tymi materiałami! We hope to see you on both of those events! 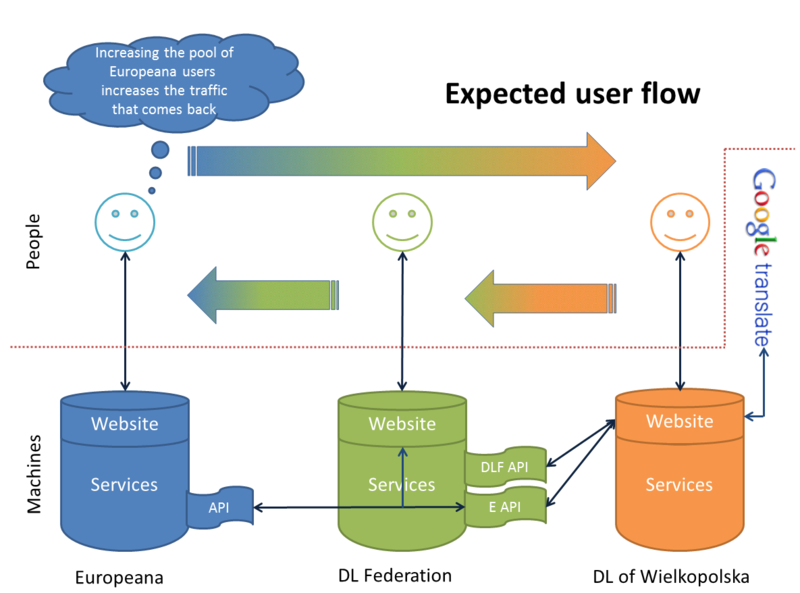 Europeana announced that the Europeana Data Model (EDM) has just been published. It is a new way of structuring the data that Europeana will be ingesting, managing and publishing. The EDM is a major improvement on the Europeana Semantic Elements (ESE), the basic data model used from the beginning of Europeana. The new data model has been developed by members of Europeana v1.0, EuropeanaConnect and experts from academic and cultural circles. Also, the EDM has been validated by technical specialists at libraries, museums, archives and audio-visual collections. However, the data model is still under development and it will be refined until the end of 2010. The EDM is compatible with the ESE and no data will need to be resubmitted. Detailed information can be found in the EDM Primer and Definition of the EDM Elements. If you are interested in the new data model, you can consider participation in two free of charge events: the Europeana Open Culture Conference (14-15 Oct, Amsterdam) and Europeana Day (19 Oct, Poznań).